Villanova and Michigan State were the favorites to take over at the top after the Blue Devils' weekend loss at Boston College, though there was far less certainty for voters about who was now the nation's top team. The Spartans (9-1) earned 19 first-place votes to climb from third to second, while the other five first-place votes went to the Sun Devils -- who leapt 11 spots to No. 5 after Sunday's win at Kansas . Arizona State (9-0) is off to its best start since the 1974-75 season. Now the Sun Devils -- who also have a win against Xavier this season -- have their highest ranking since reaching third during the 1980-81 season. Wichita State climbed three spots to No. 3, followed by Duke and Arizona State. Unbeaten Miami climbed four spots to No. 6, followed by North Carolina, Kentucky, Texas A&M and Xavier to round out the top 10. Villanova helped itself with an impressive win against No. 12 Gonzaga last week in New York, though the Wildcats had to fight to the final minute Sunday to close out a La Salle team that entered at 5-5. 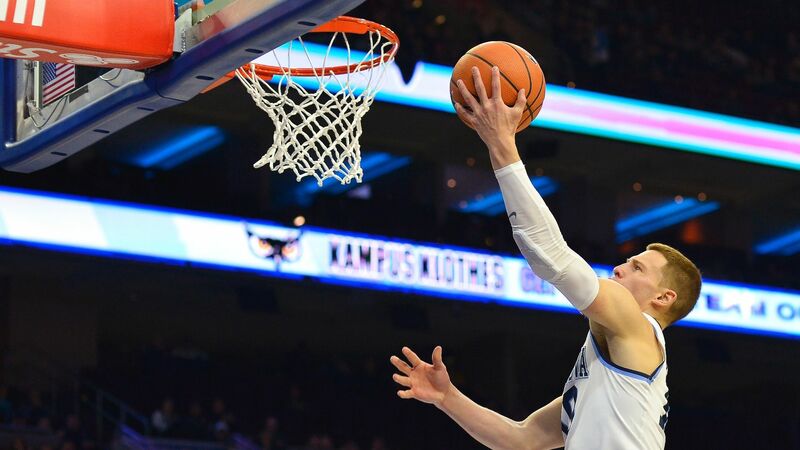 Villanova's offense bounced back in the second half to get a 77-68 win over La Salle, moving the No. 4 Wildcats to 10-0.